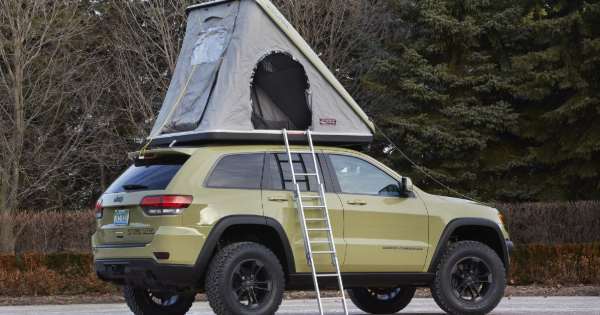 Top 5 Car Camping Accessories to Get Before Your Next Trip - Muscle Cars Zone! Car camping is a lot more fun when you have the right gear with you. Check out the top 5 Car Camping Accessories you should get before your next trip. Did you know that Millennials account for fully 40% of all campers in the United States? This hobby is more popular than ever, and no wonder — camping can help relieve stress, boost your mood, exercise your body, and much more. Car camping is a good way to ease into things, if you’re a novice camper. Hauling your belongings in your vehicle, and having easy access to them, makes the entire experience more fun. 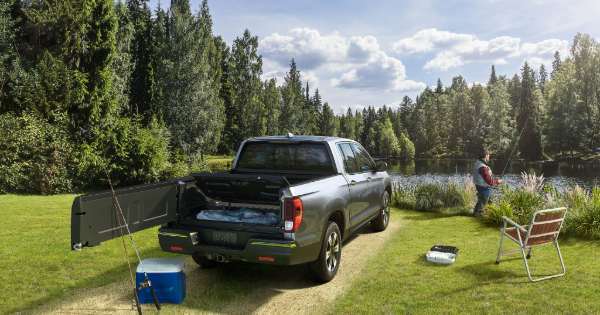 But before you pack the entire trunk and backseat with everything but the kitchen sink, take a look at this list of essential car camping accessories! Part of the enjoyment of camping is roughing it — and/or channeling your inner MacGyver to make do with whatever you can find in your glovebox. However, there are a few things that will greatly enhance the experience of enjoying the great outdoors. A good dutch oven is a super-versatile way to cook over an open fire. Choose one made of cast iron for durability and even heat. Yes, it will be heavy, but one of the advantages of car camping is that you don’t have to worry too much about weight. Make sure your dutch oven has feet, so that it can stand directly in the fire. A sturdy lid that doubles as a griddle is also a plus. Between the large capacity of the oven itself and the griddle surface of the lid — and a few sharpened sticks for spearing hot dogs and marshmallows — your camp cooking needs will be covered. As you learn the ropes of car camping, you will likely get even more enthusiastic. That means acquiring more gear, which in turn means that sooner or later you might run out of room inside the vehicle! Look into roof racks to help stash all the essentials — and the extra. Another benefit of toting gear on the outside of the car is that you’ll have more room for passengers. The more, the merrier! What’s a stuff sack? Well, essentially it’s a tough, waterproof sack to store your stuff! These make packing a breeze, and will hold much more than you think. It’s also worthwhile to invest in a sleeping bag or down alternative blanket that comes in its own stuff sack. No folding, rolling, or grappling with unwieldy material; you just stuff it into the sack and go. Yes, you have a flashlight for finding your way to the latrine. Yes, you’ll have a glowing fire. But you will also need a camp lantern. Why? It’s a hands-free way to light up the night more effectively than flickering flames. There’s no need to fumble in the dark when you’re car camping and can easily carry a good lantern. Sleeping under the stars sounds wonderful, but what happens when it rains? Tents provide necessary shelter that are more conducive to camping fun that curling up in the backseat of your car. Choose a relatively inexpensive one that meets your basic needs for starters. As you earn your camping merit badge, you can level up for fancier portable shelters. Whether you’re new to camping or have been traipsing the backwoods for years, car camping is a fantastic way to explore nature in relative comfort. That’s especially true if you have the right car camping accessories. To make sure you’re prepared for a road trip, check out this article!